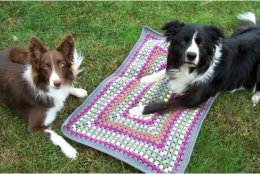 I'm an avid crocheter, a dog trainer who shows in competition obedience and a sci-fi geek. 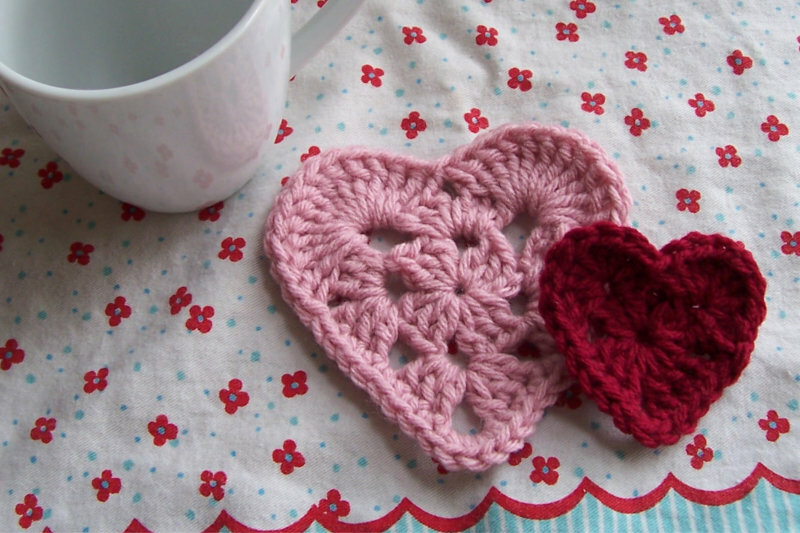 Seems like a good time to repost my Granny Square Hearts pattern. 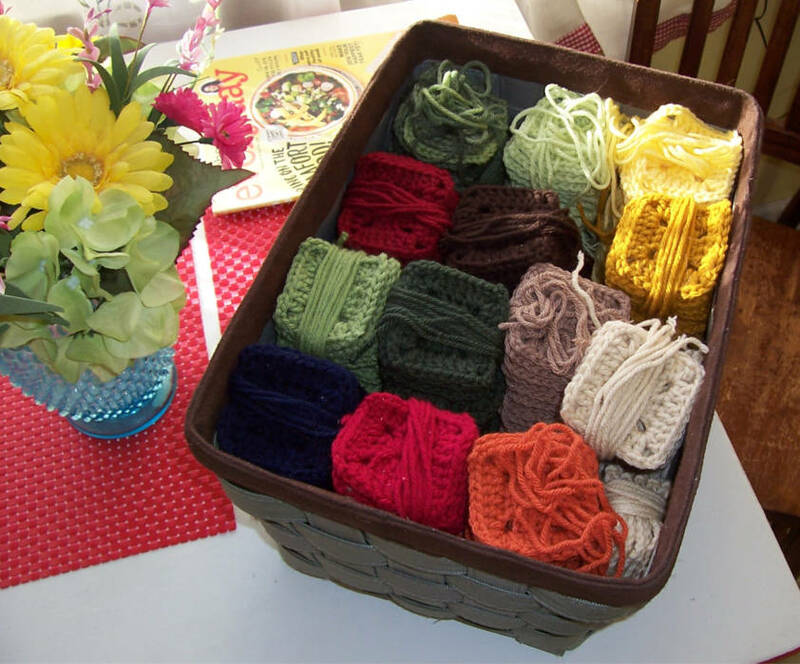 They would make nice decorations on a gift, or mason jar full of goodie, or as appliques, the large one could be a coaster. The beginning is slightly different for each heart. Quick to make up for Valentine’s Day in one or more colors. A bag to tote my yarn for wip’s with plenty of color. A wide base, so skeins fit in comfortably – can’t have my yarn being uncomfortable! I used leftover yarn for lots of colorful stripes. 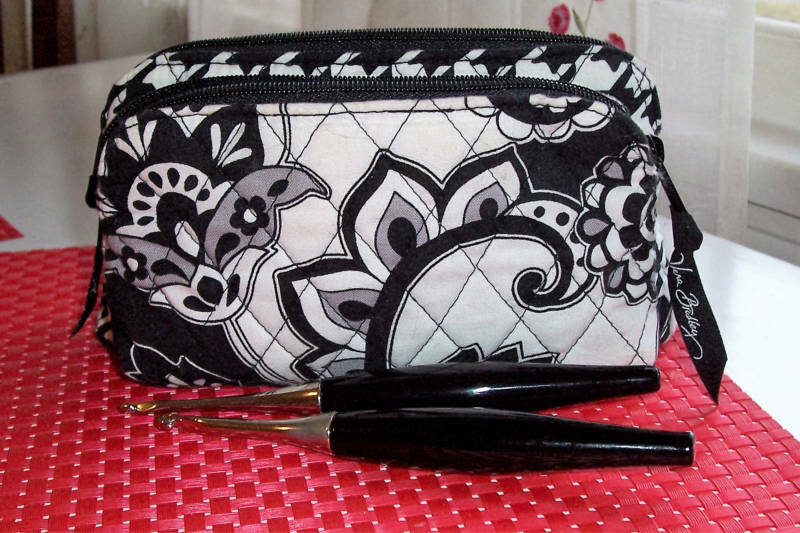 The finished bag measures approximately 22″ w x 11″ h.
Over the years I have made some tweaks and changes when I use A Better Granny Rectangle. I thought it was time to share those changes in a new post. There are 2 versions included here. My current work in progress. I have been thinking about a new mitered blanket for some time. I was inspired by some vintage ones I had seen where each motif abutted the others without a border around. I liked the look of that. I tried making them in single or double crochet rows same as the ones I had seen, but didn’t hit on anything that really satisfied me. Every now and then I would see another on the web somewhere and I would want to make one again. I ended up with a variation of my mitered granny square. I did some tweaking of the pattern so it worked more neatly, which is needed since I won’t have the border around each square to hide any untidiness. I like the results! My daughter loved her blanket! 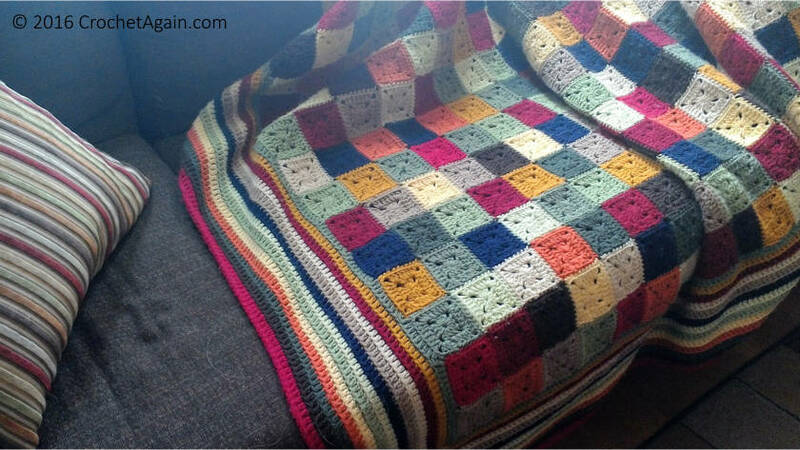 My daughter has hinted that she would like a crochet throw, so I am making her this one as a gift. 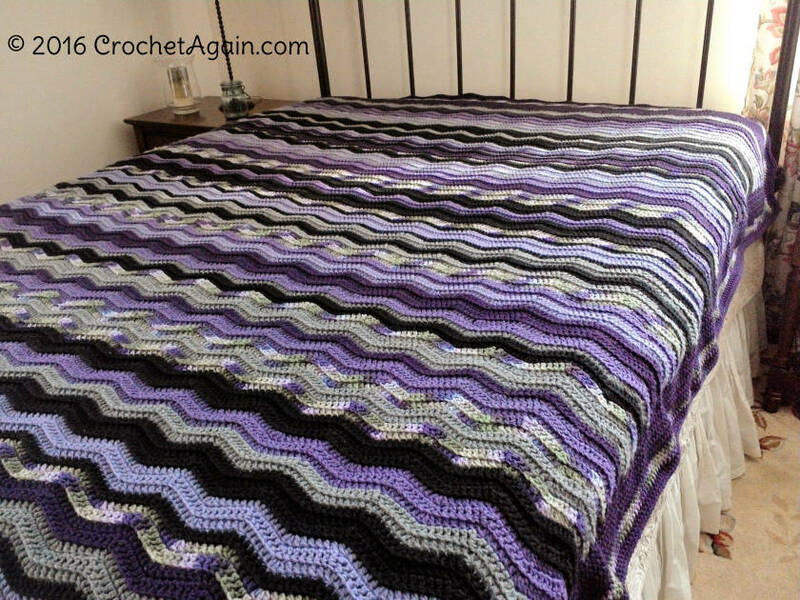 I was planning on making a ripple blanket for myself and I decided to do this one for her first. Hope she doesn’t read this blog! I ran across this little cat toy, Jingle Bell Mouse on Ravelry and just had to share. 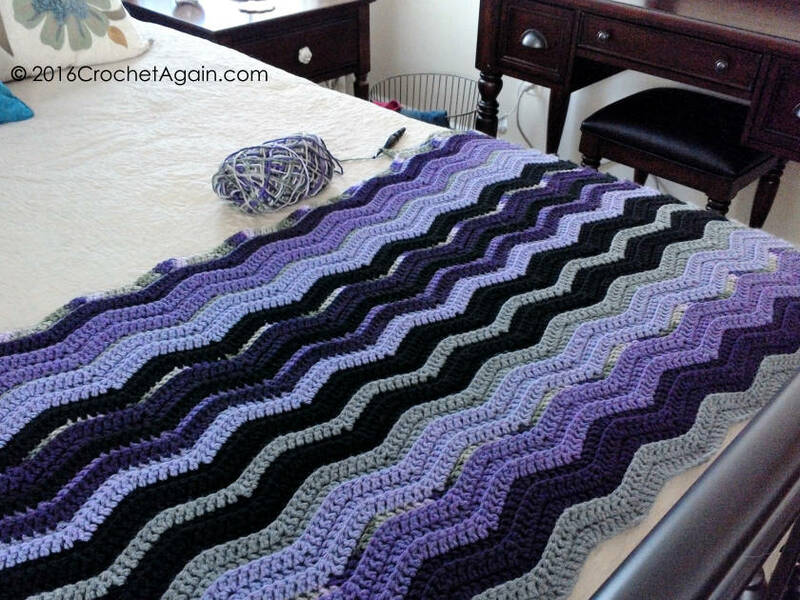 The pattern is available at The Yarn & Hook. Great little scrap project, and I think my daughters cats would love these. They would also be a cute little gift for the mouse lover, with or without the jingling. Can’t wait to make some! I have been hard at work making lots of the little solid granny squares. I thought I would find it tedious after a while, but they were so quick to make that I just kept churning more out.